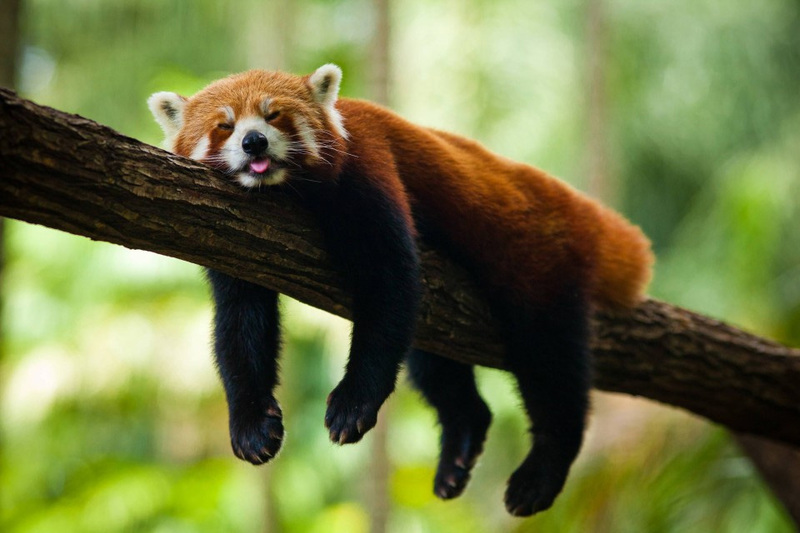 Red pandas are the greatest creatures to grace us with their presence. Yesterday, the Twitterverse EXPLODED with news about Rusty the red panda escaping from the DC National Zoo. He was last seen Sunday at 6 p.m., and located in the nearby neighborhood of Adams Morgan Monday at 2 p.m. For those of you who don't know me, I am borderline obsessed with red pandas. How could you not be? I mean, just look at their cute little faces. In honor of Rusty and his little voyage, I've put together the top 13 reasons red pandas are the best animal to roam the planet, no, UNIVERSE. Look at 'em go! Seriously anything can be a play toy. Even an everyday pumpkin. 5. They ALSO love KISSES. SHUT THE FRONT DOOR, THAT IS ADORABLE. New life goal: Eskimo kiss a red panda. 6. They love having lots of red panda friends. LOOK AT ALL THOSE FRIENDS. 7. They are super crafty. There is no way on God's green earth I could possibly make such a crafty jack-o-lantern. Trust me, I've tried. 8. They are excellent climbers. Just ASK me if I'd look a fraction as confident as that little guy if I was on that branch. 9. They are super cute eaters. 10. Their little tongues are hilarious. 11. They are the only creature (including humans) that are cute when they wink. I dare you to say you wouldn't be charmed if this little fella winked at you. I DARE YOU. 12. They are naturals at yoga. TEACH ME YOUR WAYS, YOGI BEAR. 13. They are the world's most adorable sleepers. CUTEST SLEEPERS OF ALL TIME. ALL. TIME.